'Tsvetnoy Bulvar' Цветной бульвар (Olga Riabykh, R. 2016). Seedling# A2722-1. TB, 33.5" (85 cm). Midseason bloom. Standards pink, plum shading; style arms pink-plum, lilac at midrib; falls plum, light lilac-plum edge, horizontal; beards red, lighter base; ruffled; wide. 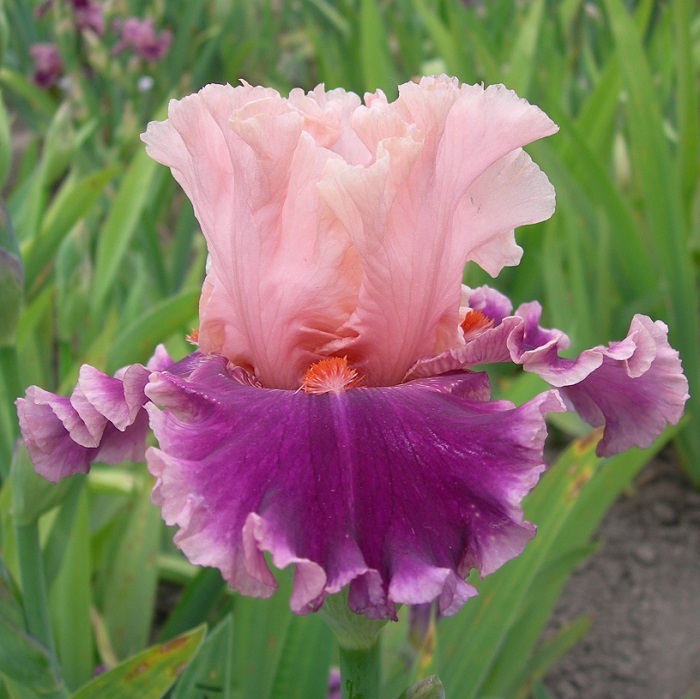 'Fashion Diva' X 'Blowing Kisses'. Riabykh 2017. Translation: Цветной бульвар = 'Flower Boulevard', street in Moscow.